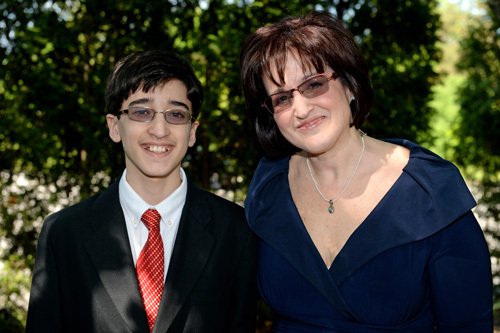 Celebrating my son’s bar mitzvah recently brought a rush of memories along with the joys that come with a major milestone. Watching my son lead our Shabbat (Sabbath) temple service and read from the Torah, the culmination of so many years of learning and preparation, my heart swelled with pride. In quickly blurred images I saw the years flying by from his babyhood and first fleeting steps to my tall 13-year-old with voice deepening, fuzz of moustache, who grew 6 inches in the past year. As I prepared my reflection letter I read to my son during the service, I thought about what words of wisdom and best memories I could share with him. I love this tradition our temple has of asking parents to spend a few minutes lovingly sharing with our son or daughter our heartfelt advice and reflections. At this pivotal time of their life at 13 years old, just becoming a teenager and starting to leave the trail of young childhood behind in the journey to becoming an adult. We think back on what was and what is to be. I remember vividly how wondrous yet mind numbingly exhausting the first few years with each of my sons were. How much I treasured but couldn’t always really appreciate every moment with my sons in the midst of running after an exuberant toddler, who raced to defy the laws of gravity to literally trying to climb a wall or whatever else he encountered. Or the excited preschooler running after whatever caught his fancy or to run as fast as the wind. 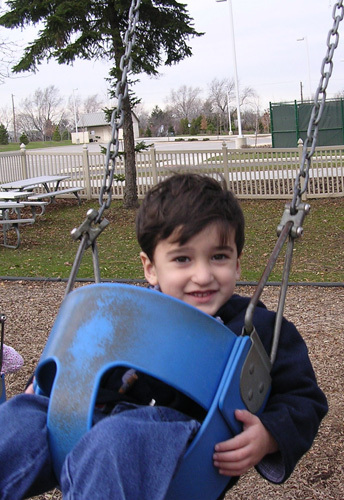 The questioning curiosity about the world around him as he grew from preschool to kindergarten and through elementary school. The days and weeks disappear and immersed in that everyday of getting things done we try to truly experience it all. I remember when my first child was born, a dear friend and colleague with older children sharing that the early years can fly by so try to relish every moment while you can. That the infant to kindergarten years are so exhausting it’s easy to miss it. (And yes, she said, please don’t smack me, I know you’re exhausted, but you’ll see what I mean…as I looked up at her bleary eyed, just trying to get the hang of this breastfeeding thing). Too many of the days did escape me in the pursuit of getting the backpacks and lunches ready and racing to preschool and work and back again. But I often remembered her words in my ears, stop a minute and look at the miracle of how they are growing and what they are learning and doing every day. What do I want them to remember when they look back on their childhood? What will be important to them and what is important to me for them to learn and care about? What family traditions and ethics have we built? Will I teach it right, will I give them the right experiences and opportunities to learn and absorb those lessons and memories? children grow up. Watching as they find their fascinations and passions (like music, karate, science, mischievous joking, silly Youtube videos). Seeing their strengths and struggles. Balancing how to help them without hovering too much or helicoptering. I am sure I have learned as much from my sons as they have from me. There are so many blessings from this side of mothering when you suddenly realize your babies aren’t little anymore and it’s time to just enjoy who they are without the huge 24/7 responsibilities that young children bring. The pride of seeing who they have become. Of course the teen years ahead are sure to bring their own growing pains, but as my mother always says, each stage is a new chapter. And we adjust and enjoy. I hope my children remember the family traditions and memories we built, and most of all, how much we love them. I thought I’d share my reflections to those of you who are just beginning the parenting journey from one who is in my next stage, having seen one of my sons through his teen years and just starting the next one through his. I wish you the joys and pleasures of watching your children grow and change and encourage you to pause to relish the moment whenever you can in the crazy rush of things. And think about what do you want your children to remember when they hit the teen years and start the inevitable journey to their independence. Note: A bar or bat mitzvah marks a child’s thirteenth birthday and their entrance to the adult Jewish world.